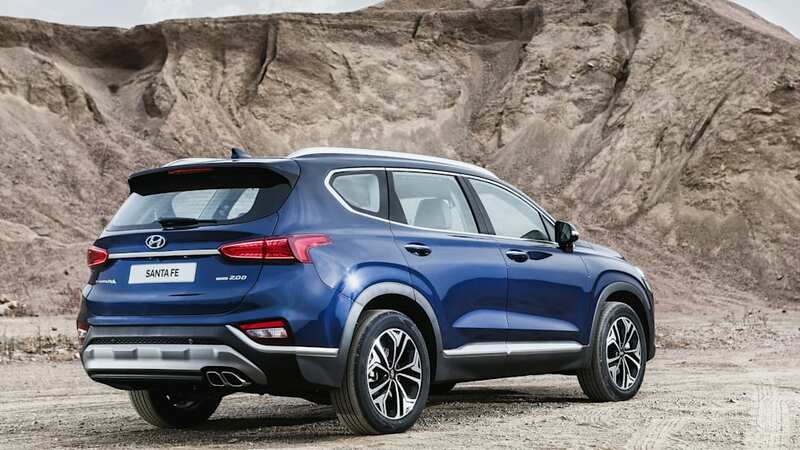 It offers a diesel engine this time around. 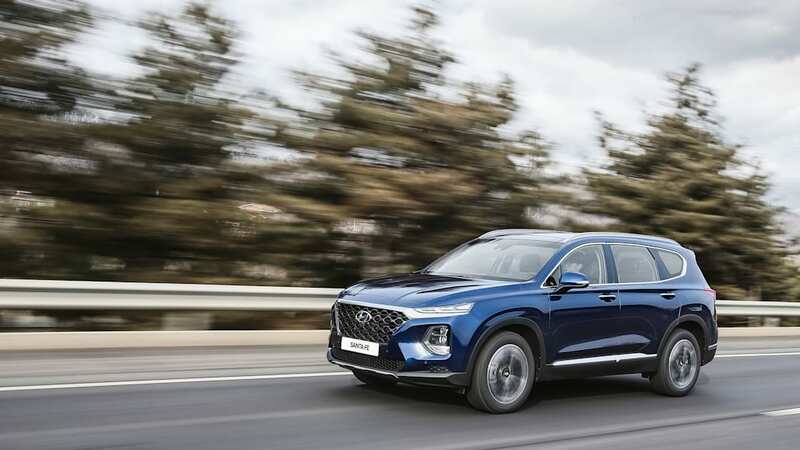 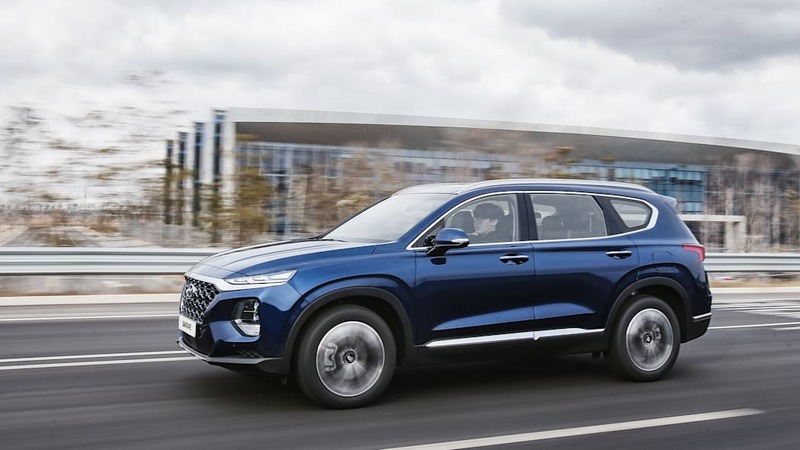 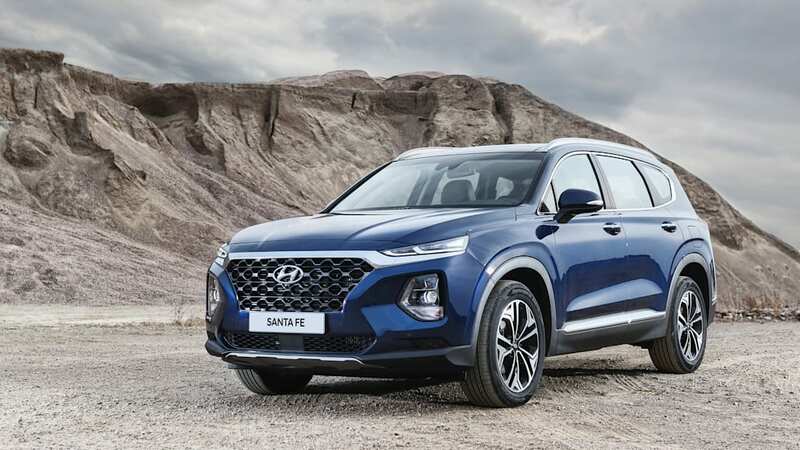 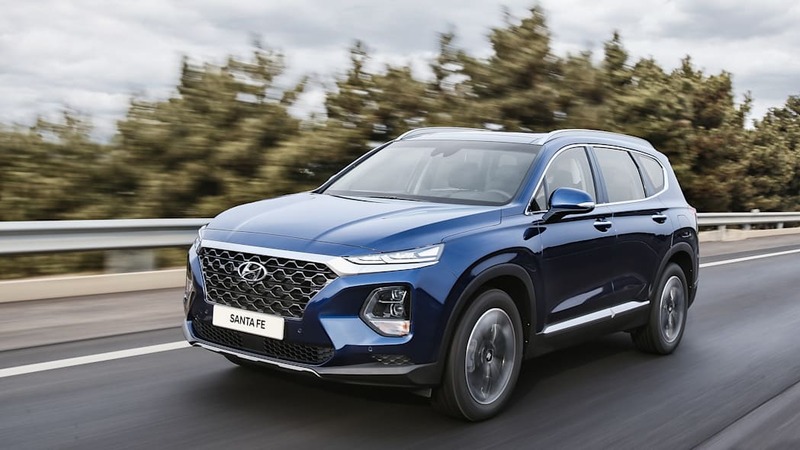 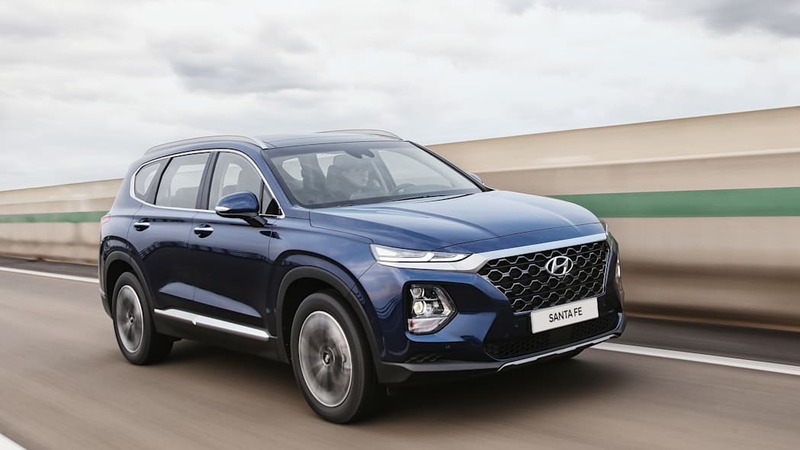 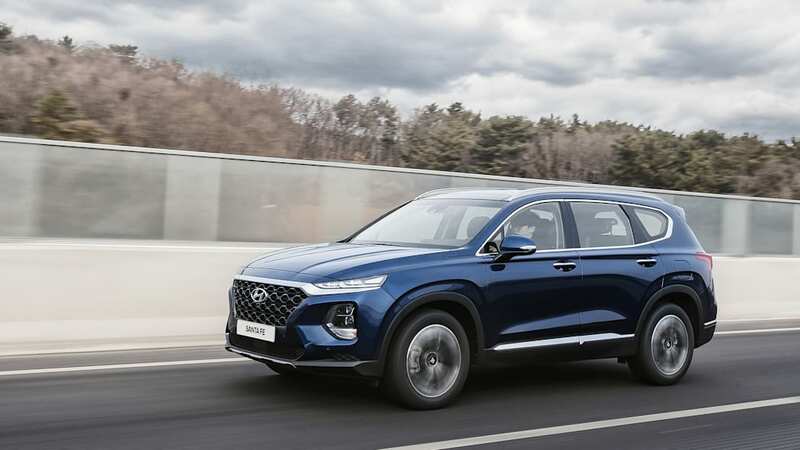 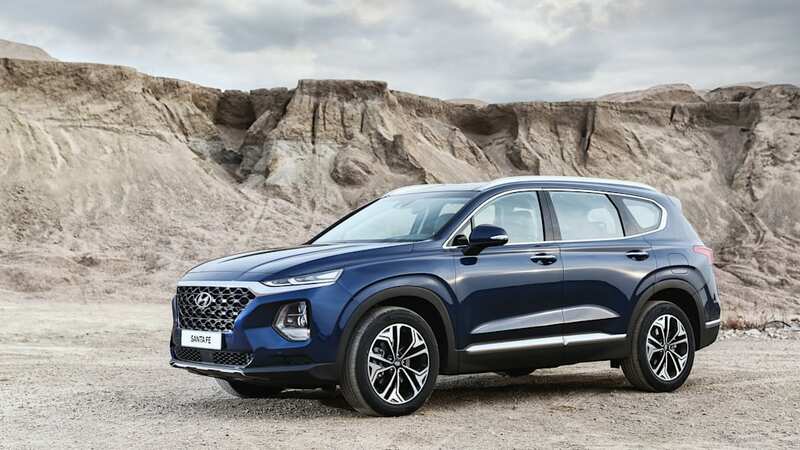 Hyundai has unveiled its next-generation, 2019 Santa Fe. 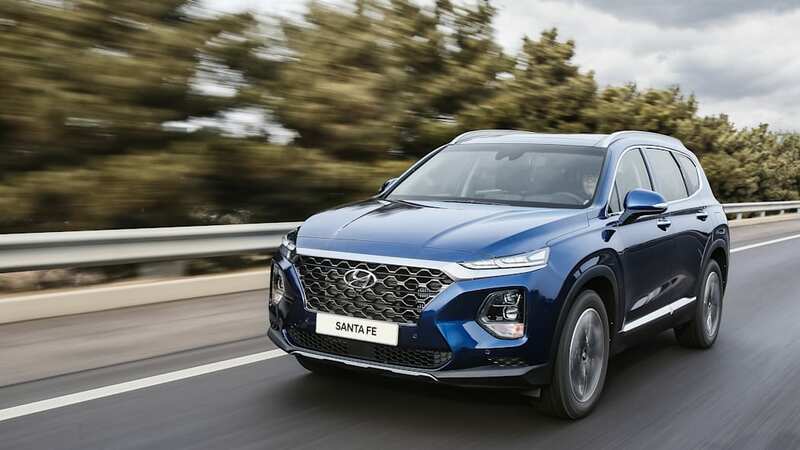 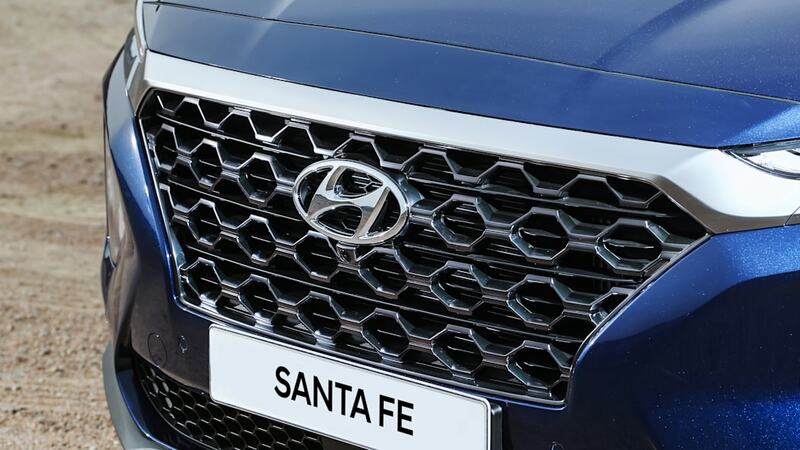 First, to clarify, the Santa Fe nameplate will take the place of the current five-passenger Santa Fe Sport. 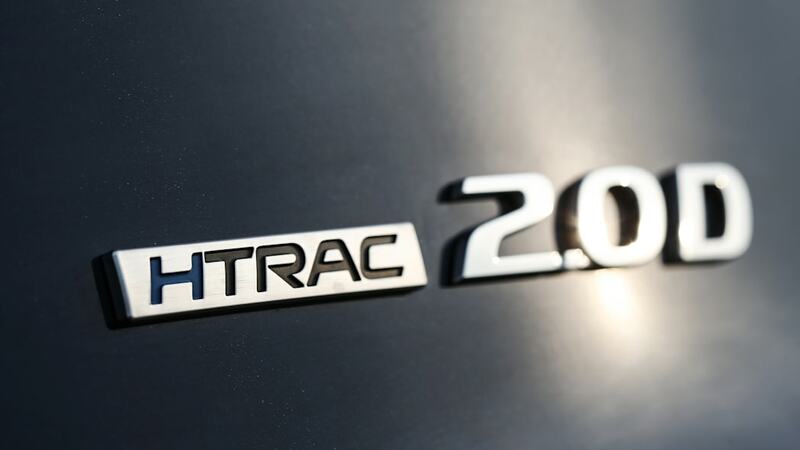 This new generation features a new design, new technology, and a new diesel engine option. 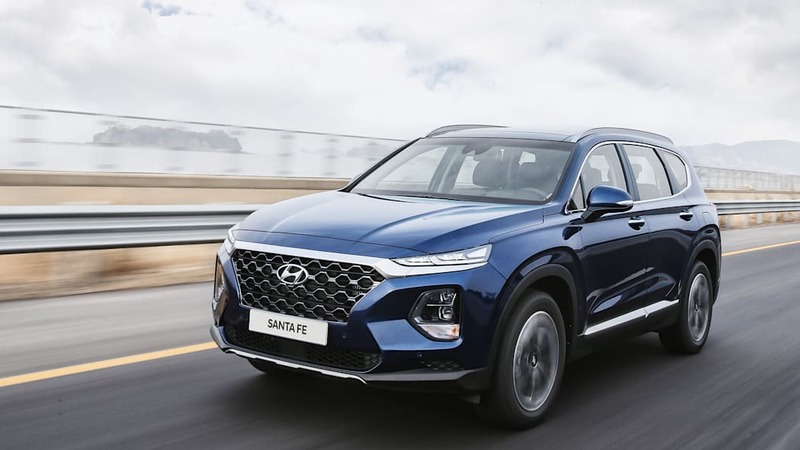 The Hyundai Santa Fe has a new look that comes off less crossover and more SUV than before. 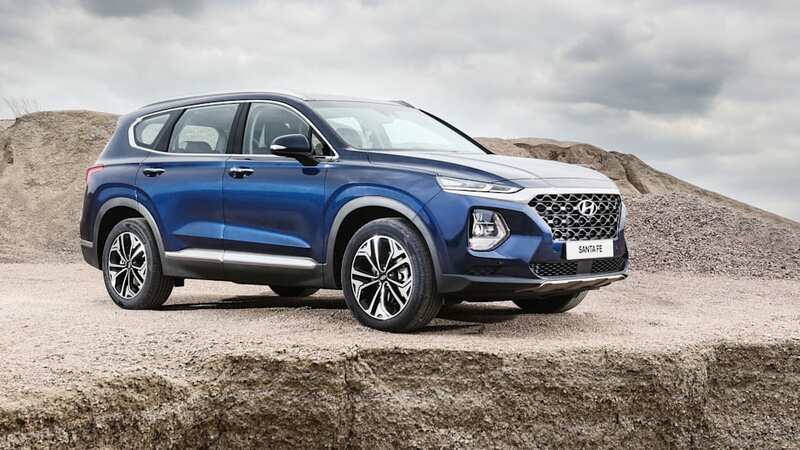 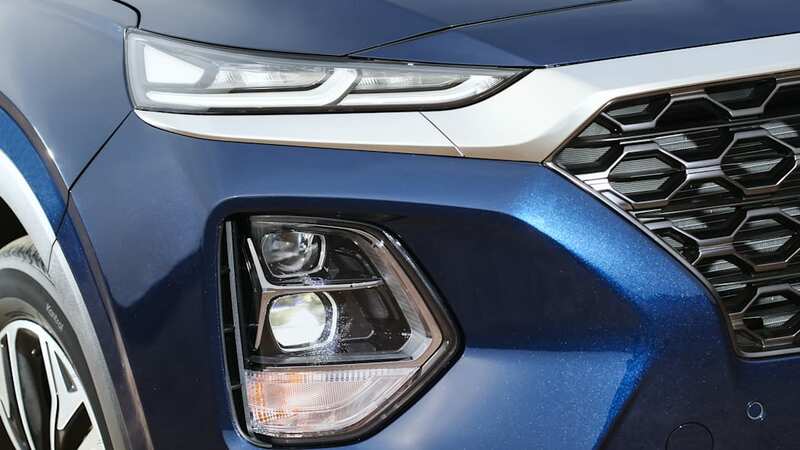 It looks wider, more muscular and bigger than the vehicle it replaces, with Hyundai's large cascading grille and available 19-inch wheels. 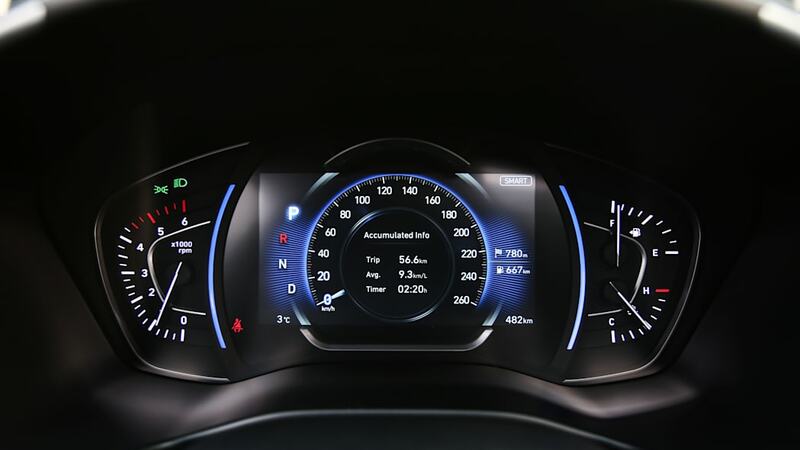 Inside, it has a horizontal layout to provide a sense of width. 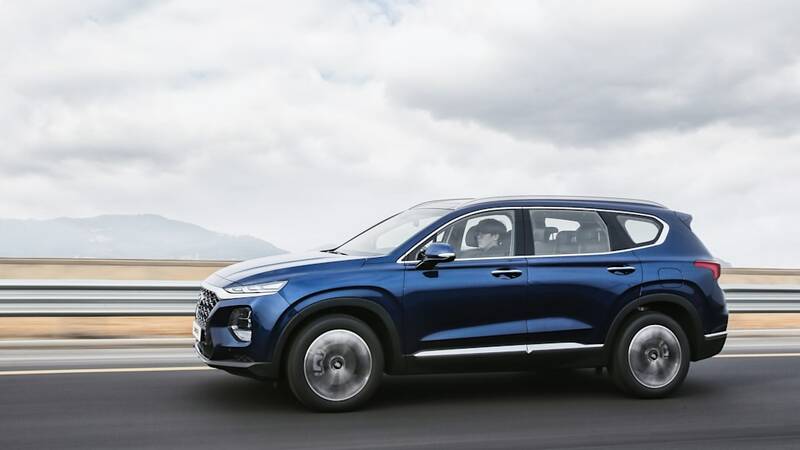 Large window openings provide improved visibility, despite the rising beltline. 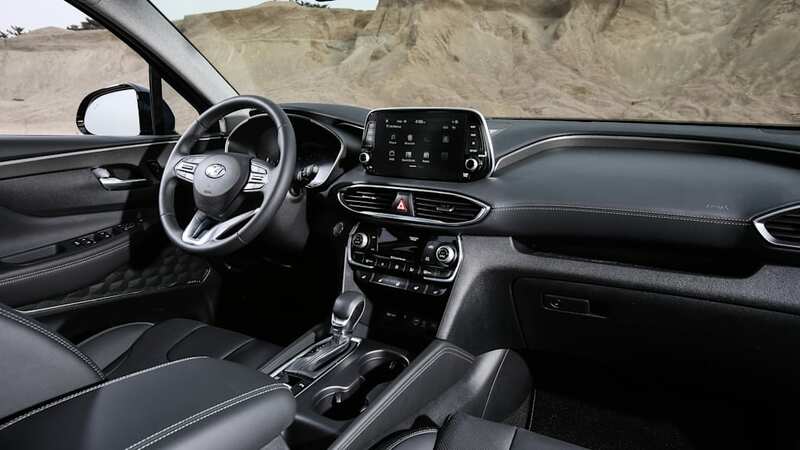 It features a new instrument panel with a three-dimensional look, and the infotainment screen has been repositioned to reduce glare. 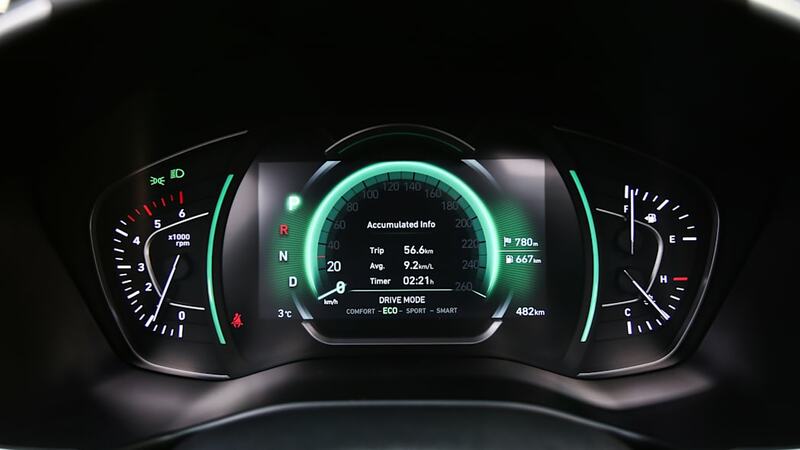 A new head-up display will also be available. 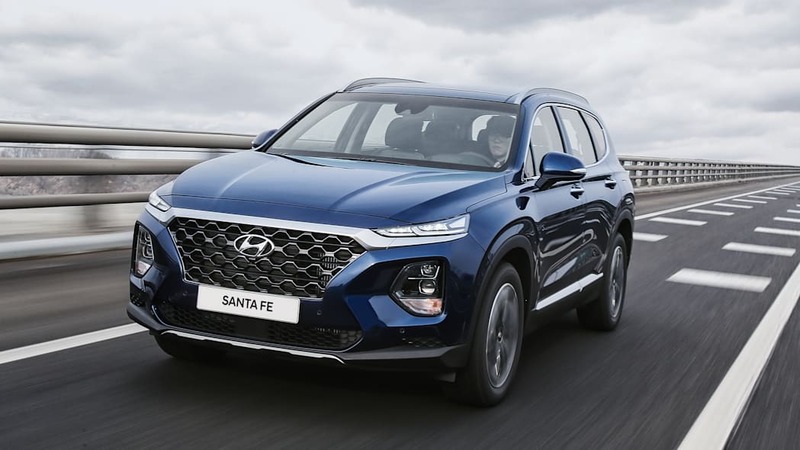 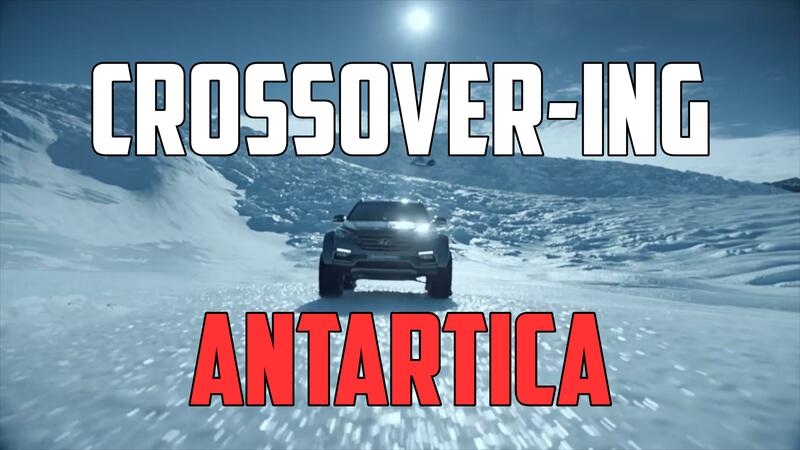 The 2019 Santa Fe will offer a 2.4-liter four-cylinder engine good for 185 horsepower, or a turbo 2.0-liter four-cylinder offering 232 hp. 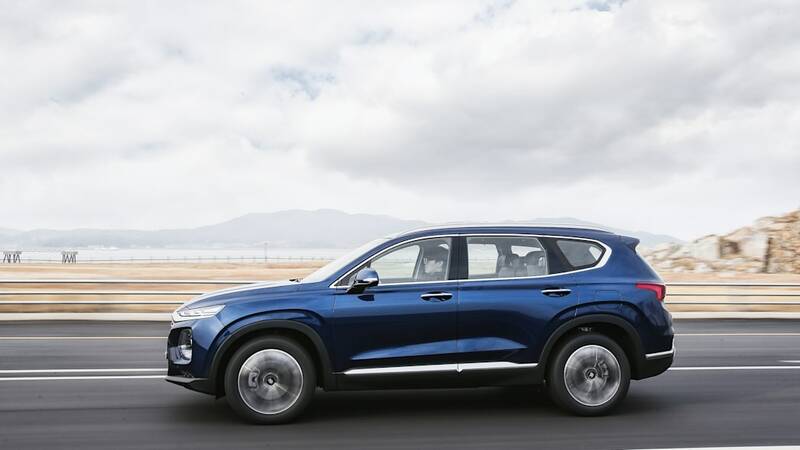 A 2.2-liter diesel engine will be available providing about 200 hp and 320 pound-feet of torque. 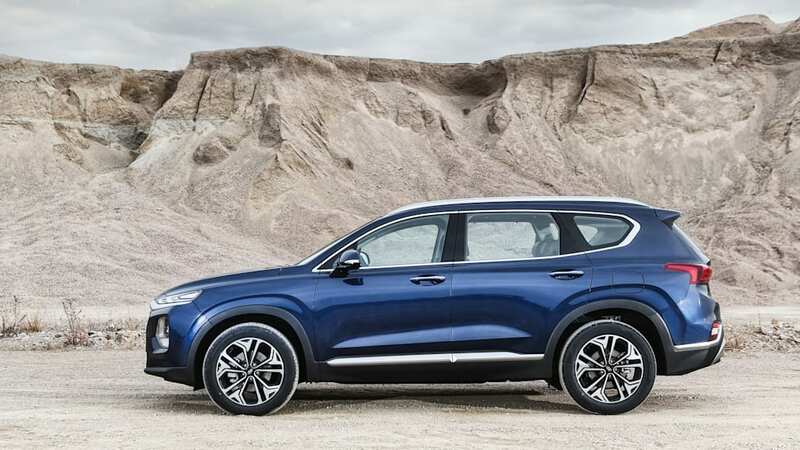 The diesel model will be the only one to offer optional third-row seating. 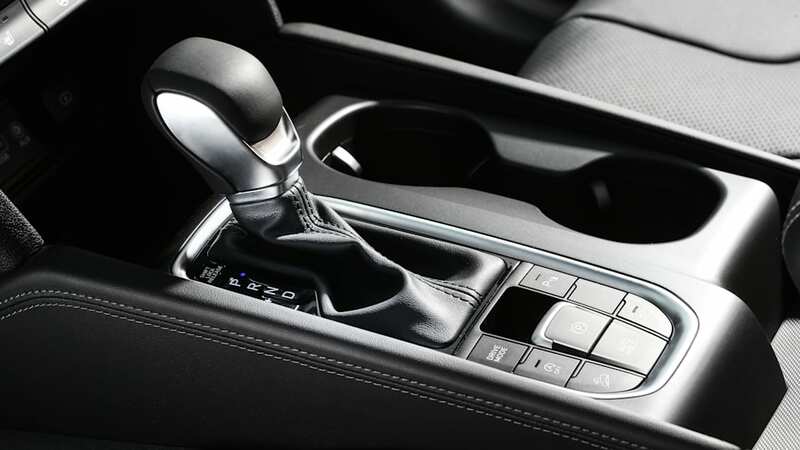 Each will be connected to a new eight-speed automatic transmission. 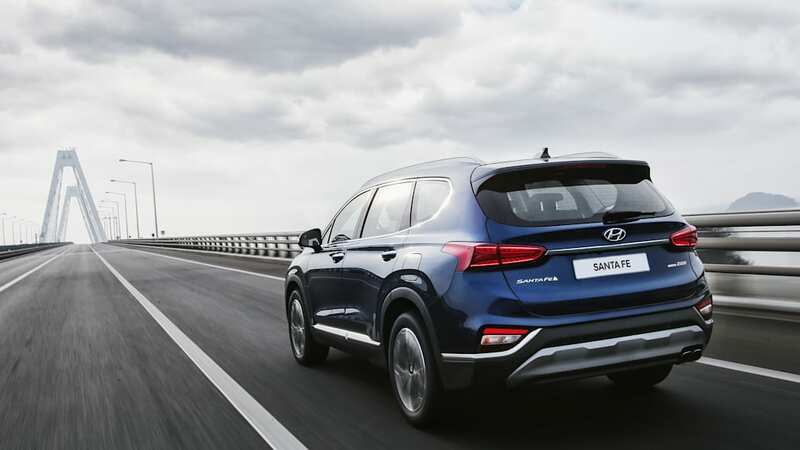 For comfort's sake, Hyundai has revised the suspension, particularly in the rear, to provide a smoother ride. 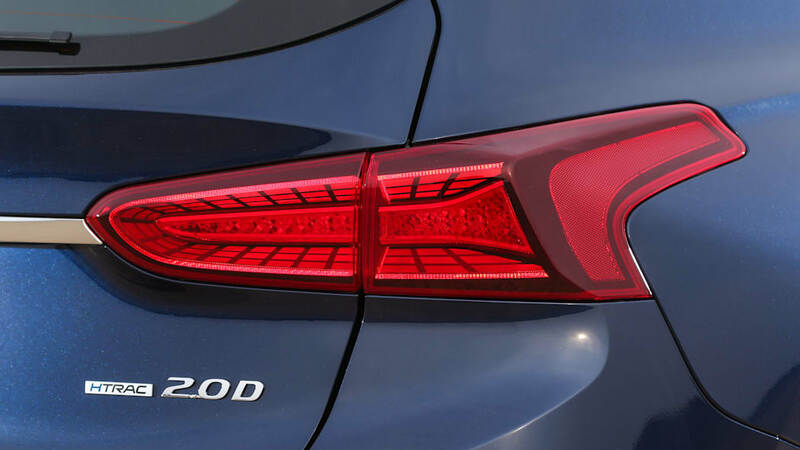 Hyundai also offers an optional load-leveling suspension to maintain a consistent ride height, even when loaded with cargo or towing. 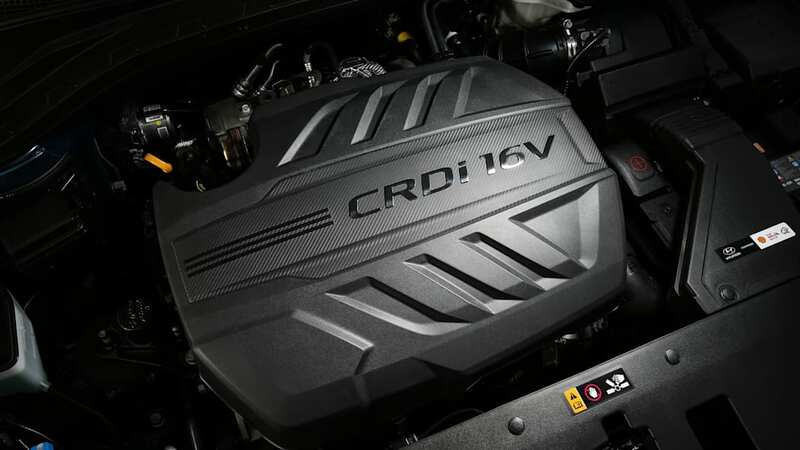 Its all-wheel-drive system provides capability in crummy weather, and features different modes to distribute torque for improved performance. 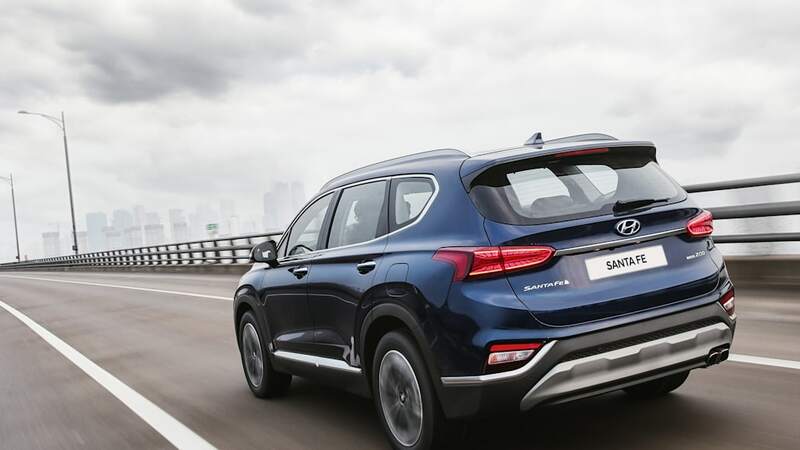 To improve safety and convenience, Hyundai includes a number of driver assistance aids in the new Santa Fe. 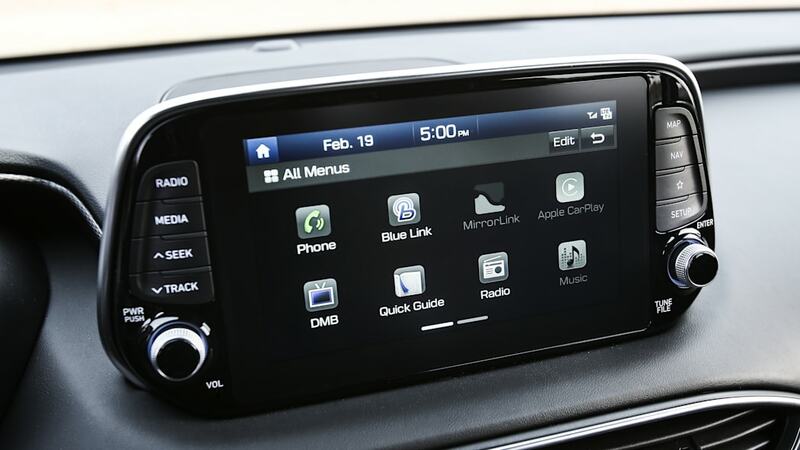 This includes lane-keep assist, stop-and-go adaptive cruise control and an around-view monitor. 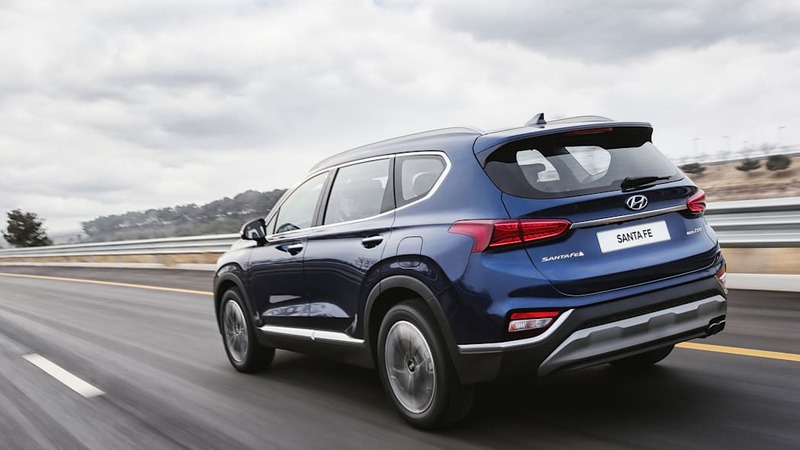 Additionally, it offers a Rear Seat Occupant Alert using an ultrasonic sensor to detect motion of kids or pets in the back. 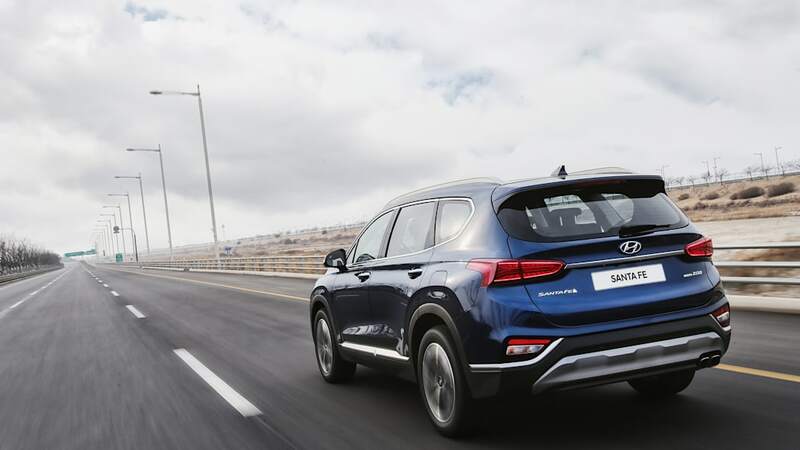 It also offers Safe Exit Assist, which prevents you from opening the door when a motorcycle, bicycle or other vehicle approaches from behind. 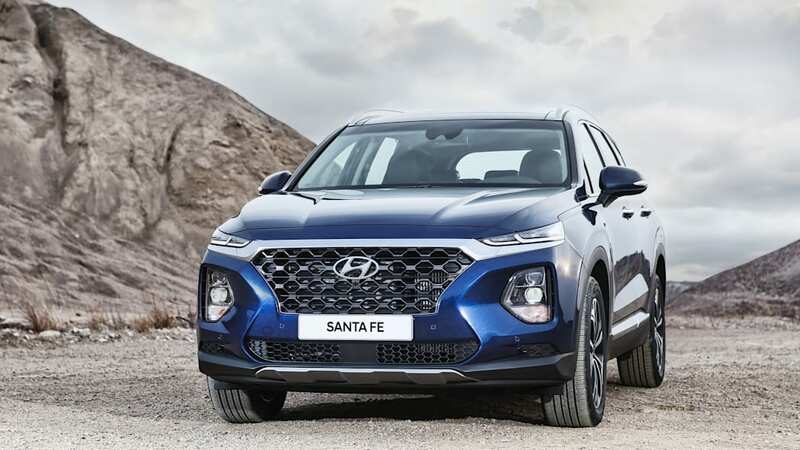 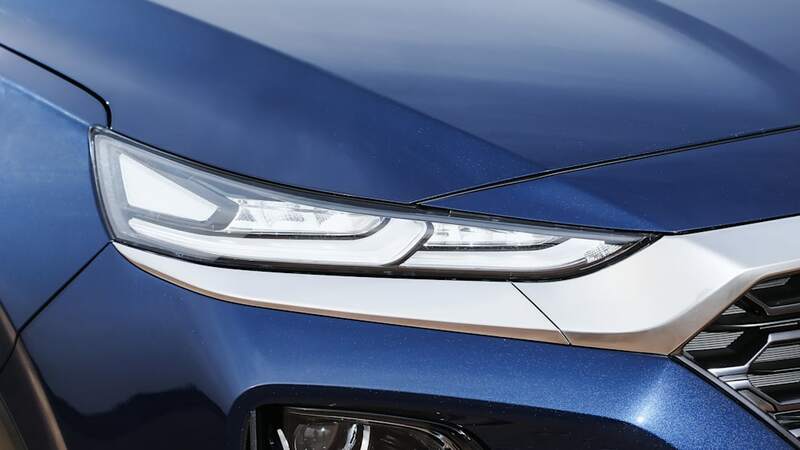 We'll have more on the next-generation Hyundai Santa Fe soon, once we get a turn behind the wheel.